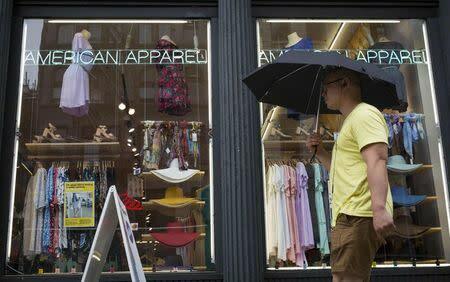 (Reuters) - Lion Capital has asked American Apparel to repay a $10 million loan four years early after the retailer ousted its founder and CEO Dov Charney on June 18, said a source close to the matter Friday. Allan Mayer, co-chairman of American Apparel's board, says that talks with Lion Capital are ongoing "but if they do decide to call the loan, we have sufficient capital to pay it off." In the meantime, the company faces a demand for arbitration that Charney's lawyer filed Monday with the hope of restoring Charney as the company's chief.